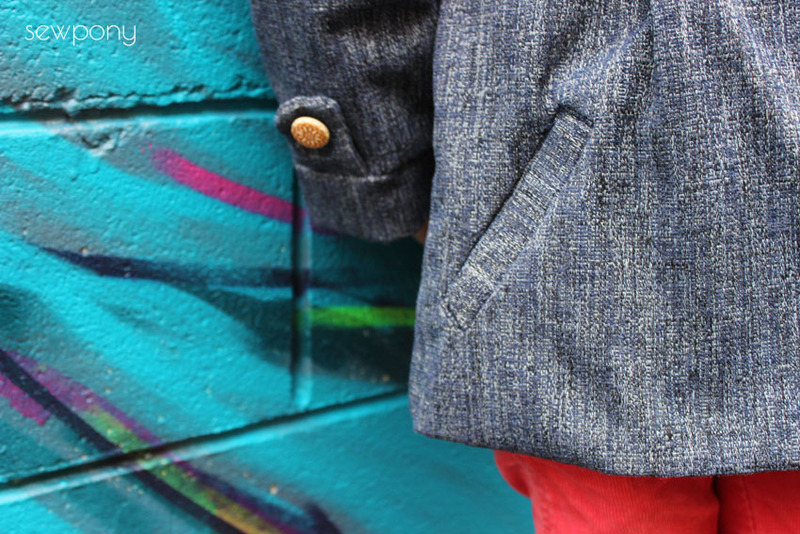 I am excited to share my Moiano coat today. 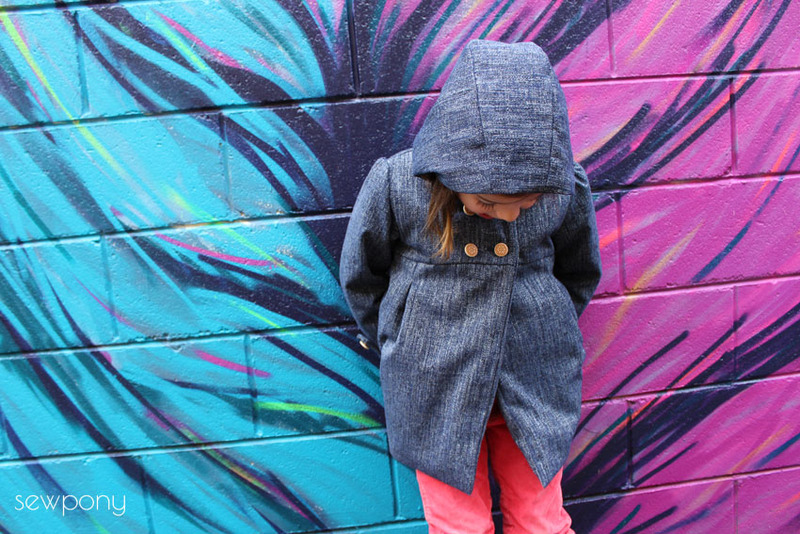 The Moiano coat pattern is the latest fabulous pattern created by my blogging friend An from StraighGrain in Belgium. An only learned to sew when her first daughter was a couple of years old. Since then she has become a self taught pattern designer and she sews beautiful things for her two daughters. I have sewn many of her patterns and Moiano is awesome! The Moiano pattern was released a couple of weeks ago - in the Belgium Spring, and is designed to be used with lighter weight fabrics as a Spring/Summer jacket. There is no reason however why the pattern can't be used with heavier weight fabrics like I used to make it more suitable for winter. Emily and I went out for coffee this morning, with the alterior motive that I might find a nice spot to take photos. 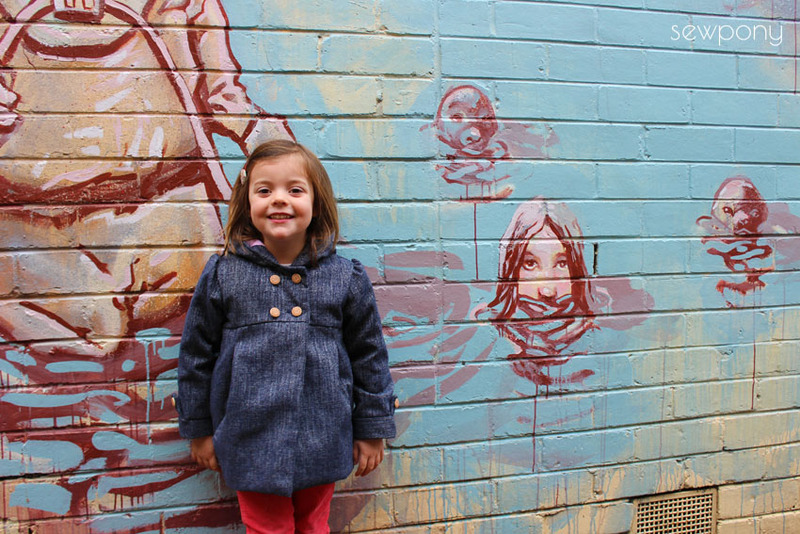 A few steps from our car park I spotted some murals on a sweet little laneway in town. 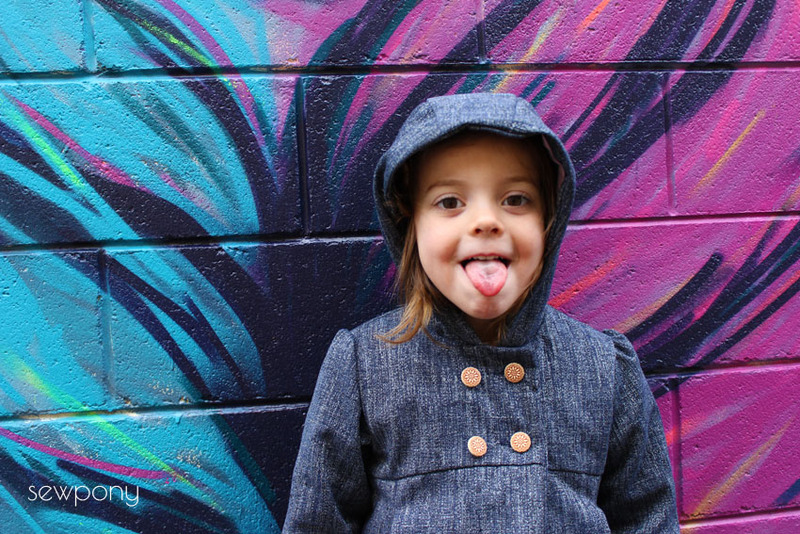 So Emily is posing in front of some very colourful backdrops! One on one time with Emily is a lot of fun. It's only when her sisters arrive home from school that the arguments start! So I savour the time we have together when I can just enjoy her. Back to the coat...I used an upholstery/heavy weight cotton (with zero stretch!) for the outer jacket and a soft pale pink cotton for the lining. The outer fabric is from Spotlight while the pink cotton lining is from the op shop - I bought five metres for two dollars - it's a really pretty pink and perfect for lining garments. I did have a bit of trouble with my completely non stretchy outer fabric. Usually even woven fabrics have some give in them. This made some of the seam matching between outer and lining a little difficult. But I am happy with the structure of the outer fabric - the coat sits really nicely. 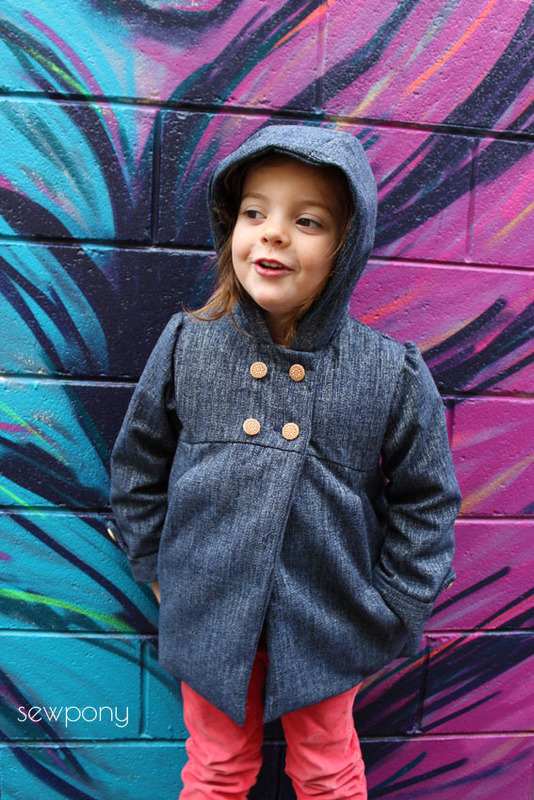 This pattern is beautifully designed with a gorgeous hood (or peter pan collar), decorative cuff details, pleats and a sweet button feature on the back. And let's not forget the welt pockets! First time for me - they are so cool! 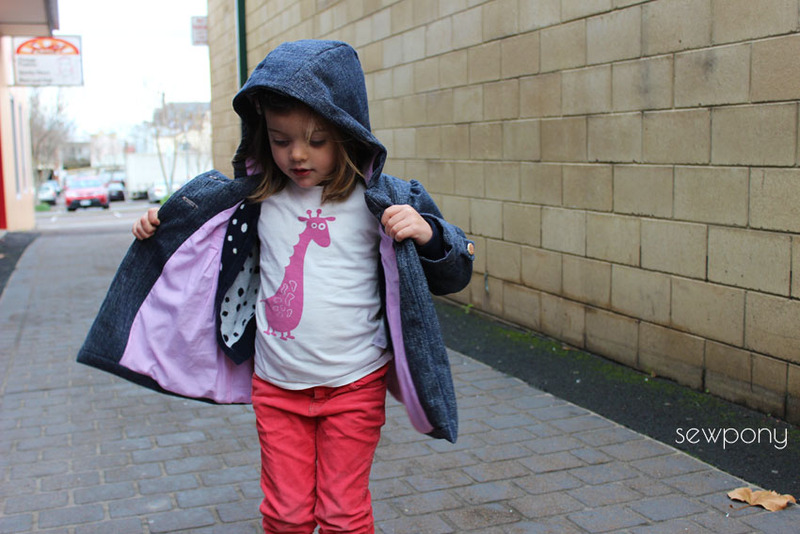 An's pattern is incredibly detailed and features all digitally drawn illustrations, a smart layout and an overall very pleasing looking pattern - which makes sewing really enjoyable. I did stop and start a lot with this book so it took me a while to make. Sewing a Moiano will probably take you around 3 hours. You can buy the Moiano pattern as a digital file or as a paper pattern - An's first. 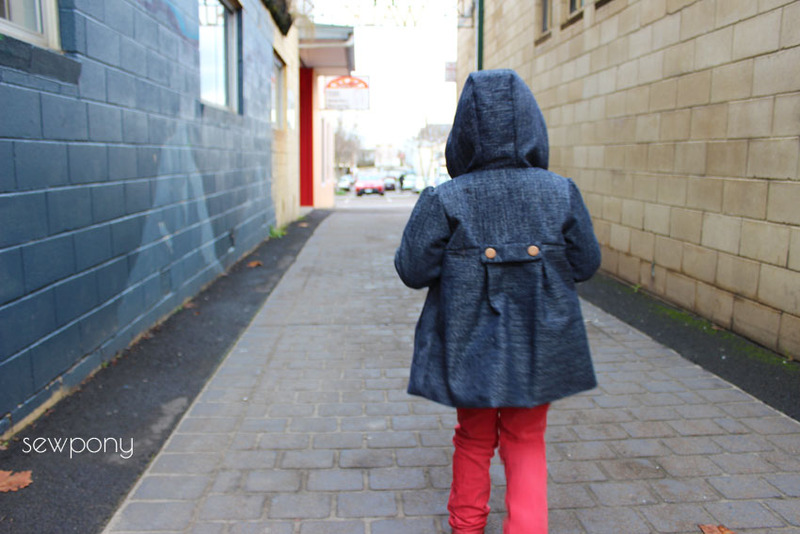 Make sure to check out all the other bloggers who have sewn (and will sew) a Moiano - lots of inspiration! Thank you An for the amazing pattern - you should be very proud!! Oh Suz, what a beautiful work of art! 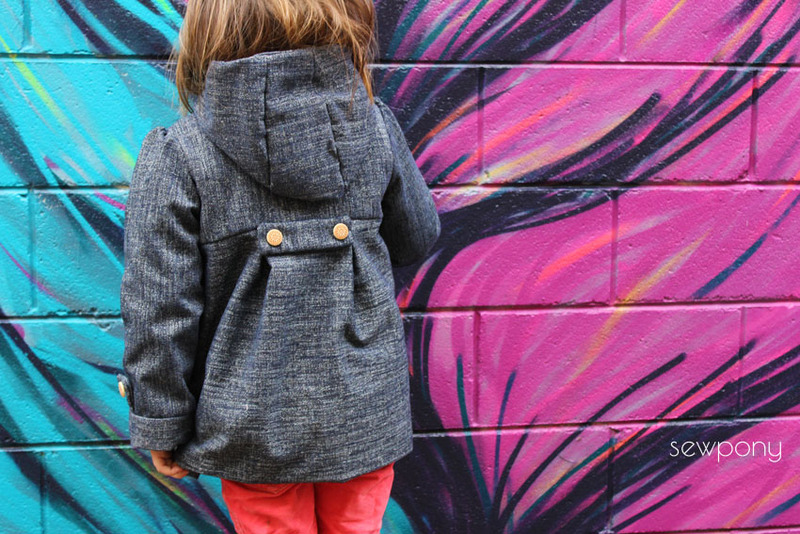 Your Moiano coat is stunning - I love your choice of fabrics and details. And your pictures are a delight. Many thanks also for the lovely review, sweet friend! Glad you like it An! Why can't my daughter just have one silly photo hahaha One on one time is so precious, isn't it! It is great you got to enjoy each other's company and managed to do such a cool photo-shoot :) The coat is great! Love the details. Sounds like it is a perfect coat pattern for our winter, really.